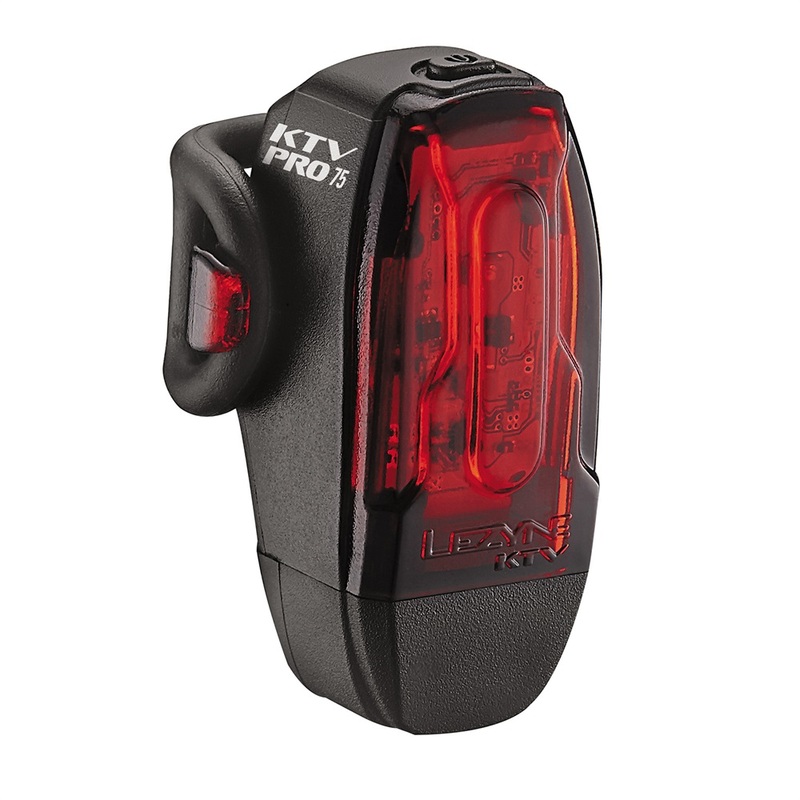 The Lezyne KTV2 PRO Drive 75 Rear Light is a compact, high visibility safety light with two ultra bright LEDs and is superlight but durable with a waterproof construction. It provides up to 75 lumens and five output/flash modes including a super high-visibility ‘Daytime Flash’ mode which we recommend you use for added visual impact when riding in daylight hours. The KTV2 PRO is designed to provide 180 degrees of visibility; Lezyne have also included an integrated USB stick for convenient cable-free recharging and have made the KTV2 PRO Drive compatible with aero or round seatposts. Very good light. Easily charged. the settings are easy enough to change. I have an aero post and the way the light is grooved at the back fits nicely to the post. Works great, bright with a secure attachment band. For recharging, it has an integrated male USB connector, allowing direct plug-in to a USB port, no cord required.